"There are under discussion new rules for capital requirements, accounting standards and collateral that affect the global insurance industry, and there are efforts here and abroad to harmonize and improve these standards," said John Tatom, director of research for NFI. "It's not just affecting domestic insurers. It's also affecting the international operations of domestic insurers, as well as international companies that are doing business in the U.S."
The goal of the Summit is to engage industry leaders and lawmakers in a forum that promotes an interchange of ideas on proposed regulatory reforms, said Brien Smith, dean of the Scott College of Business at Indiana State University, which houses Networks Financial Institute. "This year's panelists will no doubt bring a fresh perspective on challenges that face the insurance industry," Smith said. "An important outcome of the Summit is that key policymakers are informed about the goals, the costs, and the benefits associated with potential changes in the legal and regulatory environment." John P. Nolan, senior policy advisor with the Federal Insurance Office (FIO), will provide an update; the FIO was created by the Dodd-Frank Wall Street Reform and Consumer Protection Act in 2010. The federal office "monitors all aspects of the insurance industry" and assists with negotiating certain international agreements, according to the U.S. Department of Treasury website. The Federal Insurance Office is the first national level office of its kind, as insurance has typically been overseen at the state level, Smith said. "The Federal Insurance Office will have an impact on the international insurance industry because there is no governing body for the United States," said Smith, who also is the interim director of Networks Financial Institute. "The office can potentially provide significant guidance and support to the insurance industry, but there are still many questions about the impact the Federal Insurance Office will have in both the short- and long-term." State regulators will be represented by Monica Lindeen, commissioner of securities and insurance for the Montana State Auditor and vice president of the National Association of Insurance Commissioners (NAIC). She will discuss the NAIC perspective. An industry panel discussion covering U.S. and international developments will feature Kimberly O. Dorgan, senior executive vice president of public policy for the American Council of Life Insurers; Brady Kelley, executive director of the National Association of Professional Surplus Lines Offices; Leigh Ann Pusey, president and CEO of the American Insurance Association; and David A. Sampson, president and CEO of Property Casualty Insurers Association of America. Photo: http://isuphoto.smugmug.com/Other/marketing/Federal-Hall-Scott-College-of/i-2MB4n2k/0/L/09_12_12_Don_Scott_-2523-L.jpg A classroom in the Scott College of Business at Indiana State University, which houses Networks Financial Institute. NFI is hosting the ninth annual Insurance Public Policy Summit: Navigating U.S. and International Cross Currents on March 20 in Washington, D.C.
Sen. Jack Reed, D-R.I., and U.S. Rep. Blaine Luetkemeyer, R-Mo., will speak at Networks Financial Institute's ninth annual Insurance Public Policy Summit on March 20. 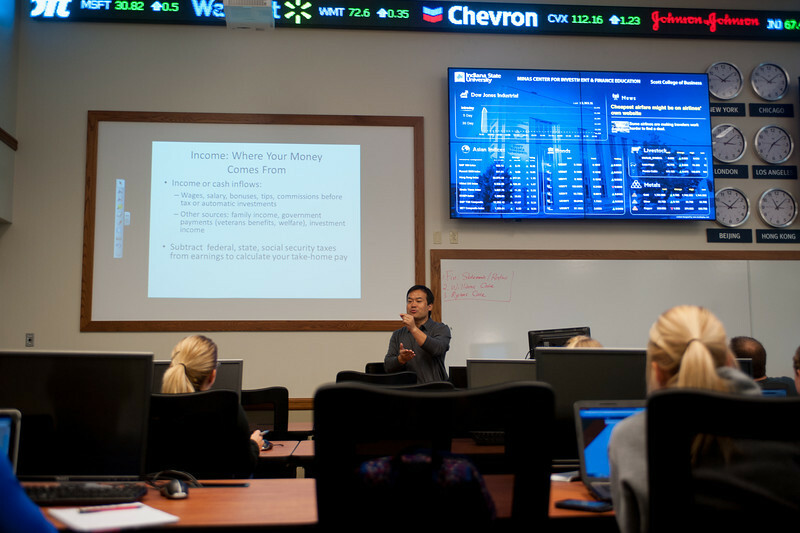 NFI is housed in the Scott College of Business.